I haven’t been bowled over by anything related to Gabbar yet (how terrible is that Chitriganda- Honey Singh Promotional song?) , apparently it is a remake of a South Indian movie (alarm bells ringing already) with the big difference that the movie now references the famous Sholay villain for reasons that elude me. If you haven’t seen the trailer yet- here it is together with a Q&A they did with I assume the marketing team. Q1 Tell us something about Gabbar is Back? Gabbar Is Back is directed by Krish and produced by Sanjay Leela Bhansali and Viacom18 Motion Pictures. It’s the Hindi remake of Tamil film Ramana and based on the story of corruption. I am playing the character of ACP Gabbar, who turns leader for a vigilante group and is en-route to end corruption in the city. It’s releasing on 1st May 2015 and also stars Shruti Hassan and Prakash Jha. Q2 Is it inspired by the character of Gabbar in the famous movie Sholay? No. Gabbar is the hero in the film and a vigilante, who takes it in his own hands to put an end to crime and injustice. Both the characters are very different. Q3 What motivates you to do a movie like Gabbar? I did Gabbar is Back because of corruption. I am alarmed by the crime rates in India and even calculated the amount of money gathered due to scams, to add up to 12 trillion dollars. I compared the crime rates between India and other countries and the numbers in India are astonishing. Crime rates are low in countries such as the UAE due to strict law enforcement which isn’t the case in India. So you need a name like Gabbar, who may behave like a villain but his actions are of a hero. Q4 You are famous as the King of Action in Bollywood. Are you going to take action sequences to the next level in this movie? Gabbar is centered more around delivering a message, rather than action sequences. Most of the instances in the movie are inspired by real life events. Q5 Are you doing any special song for Gabbar? Yes, I am doing one special soulful song called “Teri Meri Kahani” with Kareena Kapoor Khan, which happens to be the first song to be launched for this film. The song will take viewers through the emotional journey of the couple making itself indispensable to the overall narrative of the film. Q6 How’s your chemistry with Kareena Kapoor Khan? Bebo has been an integral part of my career. We’ve done many movies together and one can only hope we have many more to come. She is everything one could ever ask in a Bollywood actress. She will always know how deeply I appreciate her effort and expertise. I’m sure viewers are going to love her in this song. She has brought a kindness to our film like no other. We love working with each other.We had a great time while shooting for the song. Q7 How is your experience in working with co-star Shruti Hassan? I am working with her for the first time. She is playing my love interest in this movie. She is a beautiful, professional and talented actress. Q8 Baby was the highest box office grosser of 2015. 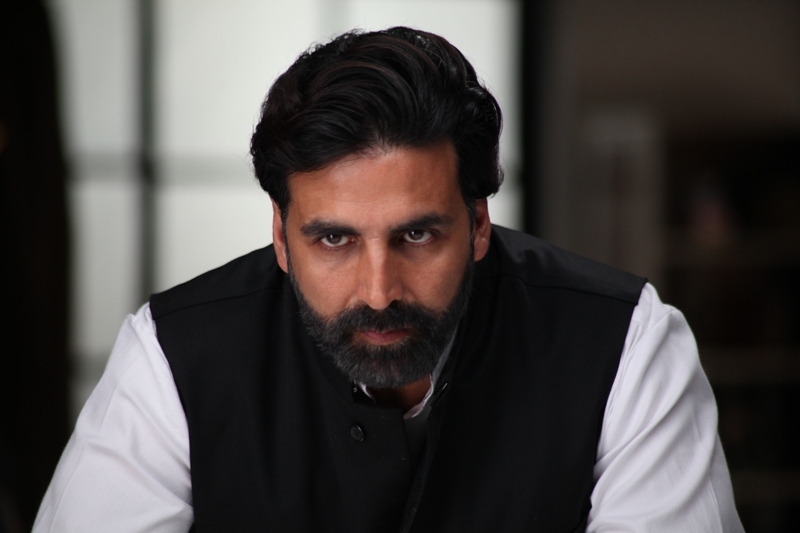 Do you think “Gabbar is Back” will surpass the record? I always give 100 percent to any film that I do, and pray that it will do well. God has been very kind to me, and I owe him everything and my loyal fans so much for their continuous support and love. Q9 Tell us about your new film projects? My upcoming films include Brothers, which sees me star alongside Sidharth Malhotra and Jacqueline Fernandez. It’s the official remake of 2011 Hollywood movie Warrior and based on the story of two estranged brothers, whose entrance into the mixed martial arts tournament forces them to come to terms with their past and each other. After this, I will have Singh is Bliing, a fantastic action comedy directed by Prabhu Deva and produced under my production company Grazing Goat Pictures. I am joined on screen by the very talented actresses Lara Dutta and Amy Jackson. We will shoot in Patiala, Punjab for this movie. In Jan 2016 I have Airlift releasing which is is based on the invasion of Kuwait. I am playing the role of Ranjit Katiyal, anIndian-Arab billionaire who plans an ambitious evacuation mission to rescue 170,000 Indians in Kuwait during the Iraq invasion. Q10 What kind of movies do you like to do? I like to do films that are different and challenging, but which don’t preach any social message as such. I like exploring various film subjects, for example: OMG: Oh My God is about religion, ‘Baby’ is on terrorism, and ‘Gabbar Is Back‘ is on corruption. My films have a message, but with a commercial angle to it. With Gabbar is Back I got the opportunity to talk about corruption in a commercial manner. Q11 Action and comedy films have been your forte so far. Do you have any unusual projects coming up? I do films that I want to do, because they appeal to me in some way. I wouldn’t say that I only do action and/or comedy films, and if I do make these type of films, it is because I want to. I have worked in other genres, and really enjoyed it. I like to surprise my audience, so that they can never guess what to expect! Ultimately, I just love making films with people I admire and respect. A good film is about characters and feelings. Q12 Do self-made actors like yourself have more motivation? Yes, I think so! But this isn’t the case for everyone, each case is different. It is only natural to protect and work hard for something when you have been through hell to get it in the first place. I myself had no Godfather in the industry; I worked hard and wanted to constantly improve myself. My goal was to strive to be better, and so it was this drive that got me to where I am today. The only reason I am still here in this industry today is because of God’s grace, my parents blessings and my fans’ love. Q13 Who do you admire in the industry? And why? I admire everyone because it is hard to make it in the acting industry. Whether you are self-made or a star kid, the journey is still tough and not glamorous as it looks. Everyone in this industry deserves my admiration and that of the fans too. We all have the same vision and goal: to take Indian cinema to the next level. It is not a competition, it is a challenge and we’re all fighting for the same thing— our film industry, because without it, we’d all be nothing. Q14 How do you protect your privacy when you encounter negative publicity? Does your discipline in martial arts help? Yes, Martial Arts is a great source of strength, discipline and relaxation for me, in fact exercise is a great way for me to unwind and forget about my troubles. But the thing that really keeps me grounded is my family. I won’t be famous forever; I won’t be successful at work every day; and I won’t have fans who love me forever, but the one thing that I will have is my family, who will love me always, unconditionally. Gabbar Is Back is scheduled for release internationally on 1st May 2015.